Robert E. Lee had turned the Federal Army of the Potomac away from Richmond and turned to face the newly constituted Army of Virginia under the command of Western general John Pope. After Pope crossed the Rappahannock River, Lee released Stonewall Jackson to return to the Orange and Alexandria Railroad near Gordonsville to keep an eye on him. As Pope aimed to capture the rail junction, Jackson attacked a part of Pope’s advance guard south of Culpeper. The clumsy attack showed Pope his vulnerability. We will study that battle. 8:30 AM. We’ll meet at the Amtrak station in downtown Culpeper, where we will depart for on our study tour with Greg. Pope had spoken boastfully of what he would do to the eastern Confederate armies, but he was wedded to his supply train along the Orange and Alexandria Railroad that ran through Culpeper. On August 10, 1862, Jackson struck an advance guard of Pope’s army near a conical hill known as Cedar Mountain. Jackson handled his troops poorly and was exceptionally lucky to gain a victory. 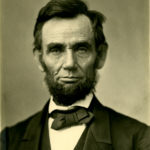 President Lincoln was invested in Pope and his success. He was expected to show the Eastern generals how to fight, and his brash pronouncements had earned a raised eyebrow and scorn from the Confederate leadership including Robert E. Lee, who wanted him suppressed. Lincoln was looking for a dramatic military success so that he could release a declaration of his intention to free slaves in the South. Cedar Mountain would not be the victory Lincoln needed. 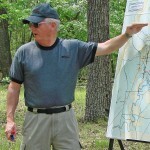 Greg Mertz has led numerous studies of the fighting at Cedar Mountain, and his battle narrative will mesh well with his human interest stories to bring you an enriching day out. We will return to the parking lot in Culpeper by 4:30 PM. Greg Mertz is the supervisory historian at Fredericksburg and Spotsylvania NMP, where he has trained literally hundreds of permanent, seasonal, volunteer, and interns. Greg began his service at Gettysburg 38 years ago, where he was assigned to the Eisenhower Farm site. 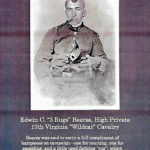 He has done four feature articles on the Overland Campaign for Blue and Gray Magazine. 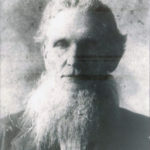 His first book, Attack at Daylight and Whip Them: The Battle of Shiloh, April 6-7, 1862, is scheduled for publication in 2019. Greg is the founding President of the Rappahannock Valley Civil War Round Table and is past President of the Brandy Station Foundation. This one-day program does not require a hotel, but should you wish to stay a night you can find many suitable properties in and around the Culpeper. We will depart from the parking lot of the Culpeper Amtrak Train Station, where you may leave your car for the day. The servicing airport is Charlottesville (CHO). The nearest major airports would be Richmond (RIC) and Washington Reagan (DCA). 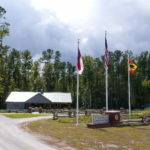 The departure point is centrally located and easily accessible via US-29 and State Highway 3. Culpeper is serviced by Amtrak. You would need a taxi to go to a hotel. You will be provided with a reading book and maps upon arrival. The following books are suggested to enhance your readiness for the program. Amazon.com has a program to support non-profits IF YOU SIGN UP to support Blue and Gray Education Society (EIN 54-1720582) at AmazonSmile. When you sign up there rather than the normal Amazon site, one-half of one percent of your purchase price will be provided to BGES as a donation from Amazon. This will apply not only on this purchase but others you may make at other times.